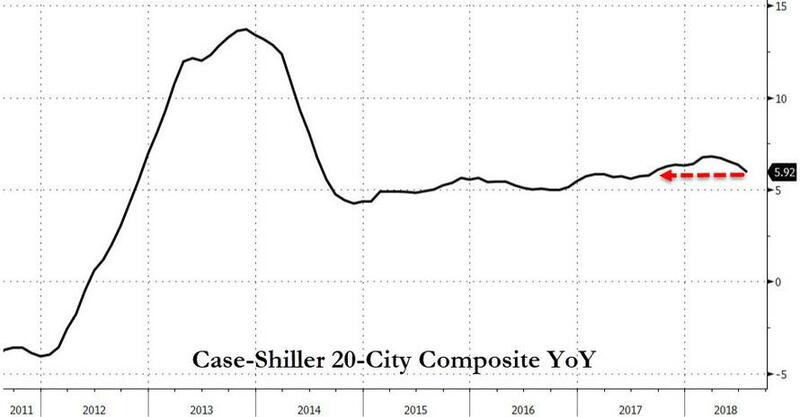 The US housing market just took another hits as Case-Shiller reported that homeprices (in July) rose at the slowest pace since August last year, missing expectations notably. 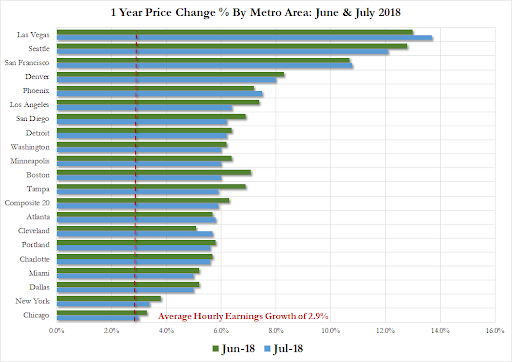 July marked the fourth consecutive month that annual price gains in the 20-city index decelerated. That’s in sync with other reports indicating housing is stalling as buyers shy away from higher prices amid mortgage rates near the highest since 2011, in addition to a lack of choice among affordable properties. At the same time, steady hiring and elevated confidence are supporting demand. 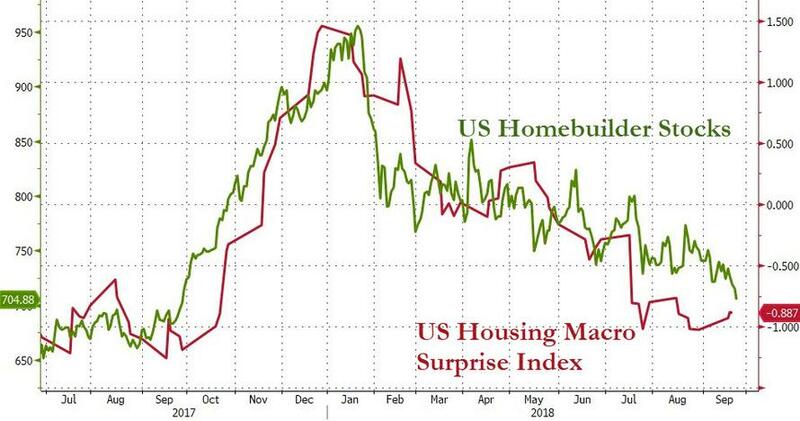 “Rising homes prices are beginning to catch up with housing,” says David M. Blitzer, Managing Director and Chairman of the Index Committee at S&P Dow Jones Indices. 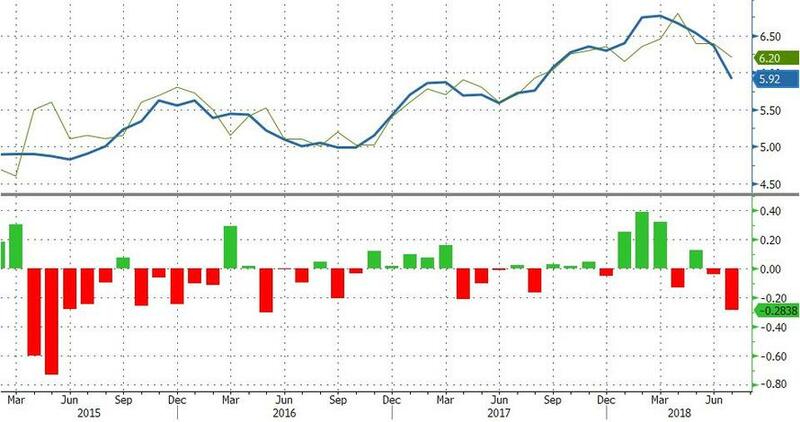 "The slowing is widespread: 15 of 20 cities saw smaller monthly increases in July 2018 than in July 2017. " But despite slowing home price appreciation, all cities saw prices rise faster than income growth. Sales of existing single family homes have dropped each month for the last six months and are now at the level of July 2016. Housing starts rose in August due to strong gains in multifamily construction. The index of housing affordability has worsened substantially since the start of the year.